It’s time to take another look at the future of energy in Southeast Asia. A report published in September by the Stimson Center, a D.C.-based think tank, challenges prevailing notions about the future of hydropower in the Mekong subregion, an area including Vietnam, Cambodia, Laos, Thailand, Myanmar, and southwestern China. The report focuses on Laos, which in years past has proclaimed itself the future “Battery of Southeast Asia,” by aggressively developing hydropower dams on the Mekong. Laos has already built 29 large dams along the river’s mainstream and tributaries, with plans for over 100 in total. The land-locked country remains the poorest in Southeast Asia, and has planned to raise cash by exporting electricity to consumers in neighboring countries. But project developers of these dams – who are typically Thai and Chinese companies – have faced criticism from civil society groups and international observers for the myriad social and environmental consequences brought on by dam construction. The Mekong is home to an estimated 1,000 species of fish, many of which migrate along the river and replenish the region’s fisheries. By changing the hydrology of the river, these dams threaten the biodiversity of the Mekong and the livelihoods of fishermen and farmers throughout the region. In times of drought – as has been experienced this year – the dams can cause regional insecurity by contributing to water scarcity problems downriver. 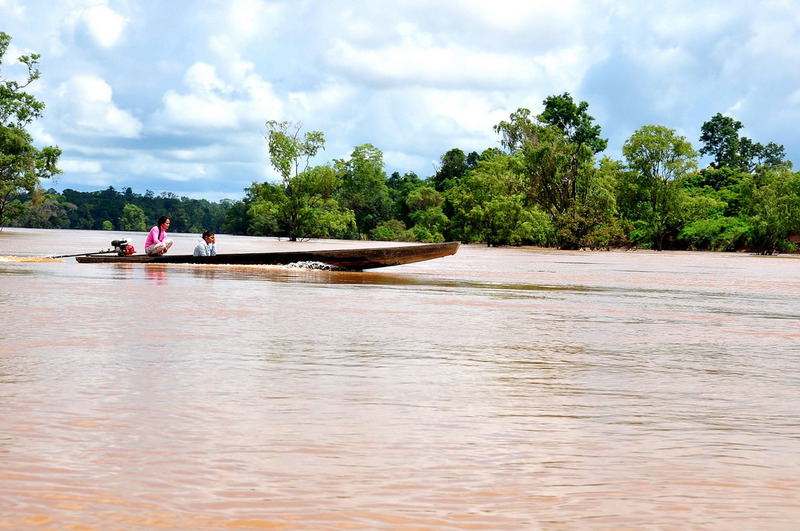 The report highlights new developments that could steer Laos away from further damming on the Mekong. First, following a period of economic and political liberalization, Myanmar is emerging as a competitor for energy infrastructure finance. Myanmar boasts nearly 100 gigawatts of potential hydropower capacity, far exceeding what is possible in Laos. Such a glut of potential projects in the region is likely to siphon away financing that might otherwise go towards hydropower development in Laos. Perhaps most critically, it appears as if planned generation in Southeast Asia is outpacing the region’s appetite for energy. China, once envisioned as a potential market for Laos power, is already experiencing serious overcapacity in its domestic power market. Thailand, while still a major investor in Laos hydro projects, has consistently overestimated its own consumption levels – and has lots of room to cut demand through energy efficiency measures. Both Cambodia and Vietnam have planned to reduce their reliance on imported energy, with the latter investing heavily in coal-fired power plants. Read the Stimson Center’s full report here. This article was first published here on the Pacific Observer website.